The Calendar Committee is currently seeking volunteers. Interested? 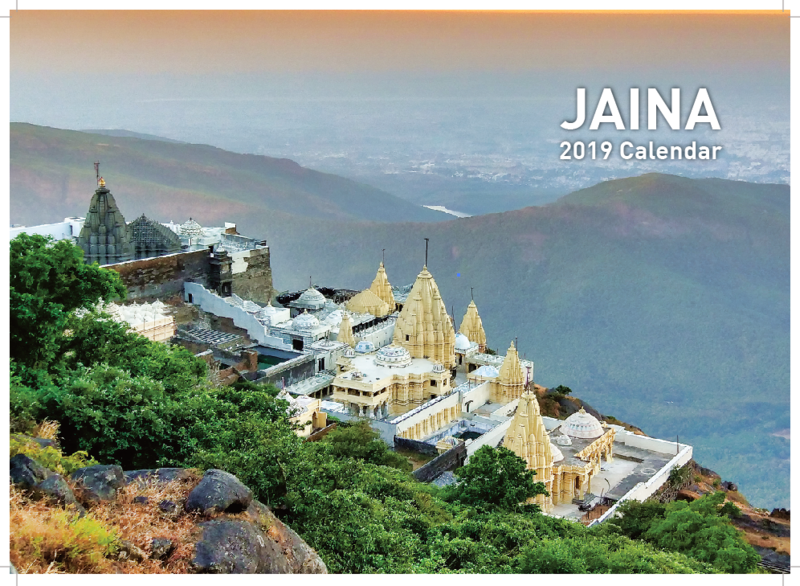 What's involved in putting together the Jain Calendar? The JAINA Calendar & Mini Library Committee was formed in 1999 by former JAINA President Mahendra K. Pandya. The first JAINA Calendar was introduced in the year 2000. The first JAINA 2000 Calendar was laid out in NY and printed in Hong Kong and distributed to over 8,500 Families. Many major & minor improvements have been made to the calendars in the last 15 years. From 2000 to 2014 the JAINA Calendar Committee has mailed out over 180,000 Calendars and 3,500 JAINA Mini Library Books. In 2014 we mailed over 14,750 JAINA Calendars. For the year 2015, the JAINA Calendar was developed in NY, Ahmedabad, Bombay & Indore and printed in India. It will be distributed to over 15,000 Families from JAINA Mailing House via CVRC in Buffalo, NY. From 2000 to September 2014 the JAINA Calendar Committee received over $915,000 in donations. In 2014 we received over $89,000 in donations as of September 2014. Our goal for 2015 is $90,000. On average we have about 35 JAINA Calendar Sponsors of which over 70% are Repeat Sponsors. In 2015 we have 40 Sponsors that donated from $501 – $2,501. Every year we receive an average of about 900 donations from the annual JAINA Calendar Mailings. In 2014 we received over 1,065 donations as of September 2014. Our goal for 2015 is 1,200. JAINA Calendar Production Process involves multiple functions and expertise. The JAINA Calendar Committee is comprised of about 15 volunteers. Each JAINA Calendar takes about 4 months to produce and involves over 15 people in 5 cities and over 1,500 Man-Hours. Design, Layout & Copy Write of Calendar, Proofreading, Selection of Temples, Temple Write-up, Side Pictorials & Sayings, JAINA Write-up & Committees, JAIN Centers & Presidents, JAINA Calendar Mass & Response Letters, Calendar Sponsors, Fund Raising & Donation Collections. Temple Photography, Digital Corrections & Enhancements, Design, Layout & Copy Write; Dates & Tithi’s, Temple Write-up, Production & Printing of Calendar, Calendar Packaging & Export. Digital Image Corrections & Enhancements, Proofreading of JAINA Calendar, India Distribution Lists. JAINA Lists for JAINA Write-up, JAINA Committees, JAIN Centers & Presidents, Outsourcing of Mailing & Distribution of the JAINA Calendars. If you have expertise in any of the following areas, please contact Mahesh Wadher (jainacalendar@jaina.org) or fill out this simple form today!